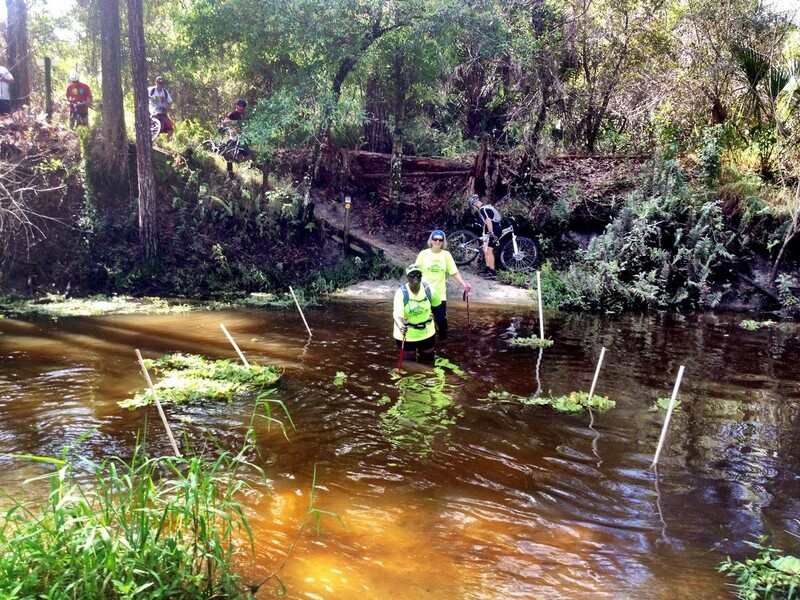 95% single track point to point run along the Ocean to Lake Spur of the Florida Trail. Runners must have a crew and crew stops are from 5-14 miles apart. The course isn’t marked for the event; you’re supposed to follow the Orange blazes of the Ocean to Lake Spur of the Florida Trail and it could be dry or could be knee-deep sections of water. Course starts on a couple miles of gravel road, then into single track trail, and has a couple miles of sand late in the race.